5 practitioners... and only 15 participants: a cross between a meditation retreat, a ritual and a healing spa. My dream is that there is a place in every community where women who are in the public eye — uberbusy, never having time and space to reflect, yet in constant and deep service to their families and communities — can “lay it all down.” To rest, receive, rejuvenate, push the reset button... all in the company of other women. What is a Healing Temple? 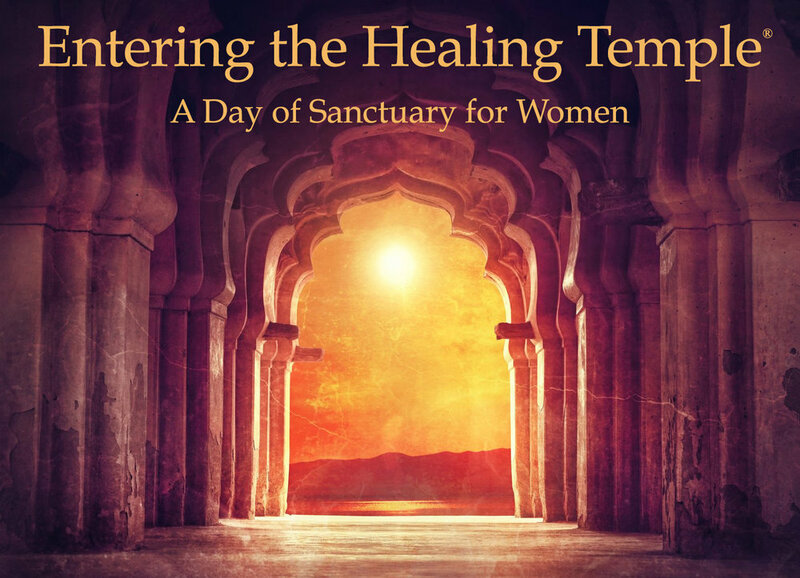 Entering the Healing Temple — A Day of Sanctuary for Women is a guided, many-layered journey that has the feel of a day-long ritual. When you come to the Temple, you are invited to surrender into receiving: to be nourished, supported and witnessed within an intimate group of women. It is a focused, private event for a select group of 12-15 women who are excited by the prospect of having sacred time, space, and the support of community to dive into their deeper work. The Healing Temple is a mostly-silent day, where we are a living experiment in exploring how the process of transformation is accelerated by using multiple healing modalities — hands-on and hands-off — using a well-structured and facilitated format. Eight staff serve the women who participate in the journey. Who are the Healing Temples for? Is needing to put down your too-many-lists, to rest… take a break… and Receive. Is an artist or healer, dedicated to deepening your practice through self-love, self-care and embodiment. What happens during a Healing Temple? For information about a specific Healing Temple, click on one of the events, below. The overwhelmingly enthusiastic response to the first offering of Entering the Healing Temple, in Port Townsend, WA, has lead to creating a bigger vision. More women in the greater Seattle area — as well as wherever I’m traveling for continuing education or to visit friends — are being inspired by the unique architecture of this day. Women are excited to hear about The Healing Temple, realizing that the container we create is specific, replicable, and would support local communities all over the U.S. in creating support for women who are in the public eye — women who have stepped up to visible leadership, or who are the focal point for a lot of public contact, and/or who are in deep service to their families and communities. We create support that is deep, nourishing, potent — and short enough for busy women to carve out time from their schedules. So we are beginning to produce Healing Temples across the U.S., each time collaborating with a local woman to put on a local Healing Temple, using local practitioners, to serve local women. For those who are interested, Healing Temples include several kinds of follow-up, for those who want private or a group container of support for creating a more nourishing life! We have also created a training program that can equip other seasoned healers to organize these events in their local communities, engaging local Healing Practitioners, and making more visible the value — and the do-able-ness — of self-nurturing, and self-care. I’ll be sure to send you news and updates on Healing Temples near you. Thank you! You'll be getting occasional news from Insight Bodywork... and updates on Healing Temples, as they come to your area. If you are interested in bringing "Entering the Healing Temple" to your area, please send me an email -- we'll talk!